Citrus Bergamia are small trees grow on coastal areas of the province of “Reggio di Calabria” in Southern Italy. Those trees produce a fruit, called Bergamot, that has the shape of Pears, while it tastes and smells similar to lime. The first one who introduced it in perfume industry was the famous Johann Maria Farina who created the “water of Cologne’’. There is a relationship between Bergamia and the city of Bergamo northeastern side of Milan. According to historians, the city became famous for selling Bergamot oil and became its symbol. While the Italians used Bergamot in perfumes, the English tea “Earl Grey” has Bergamot in its mixture. It is a tradition in England to drink that tea daily! 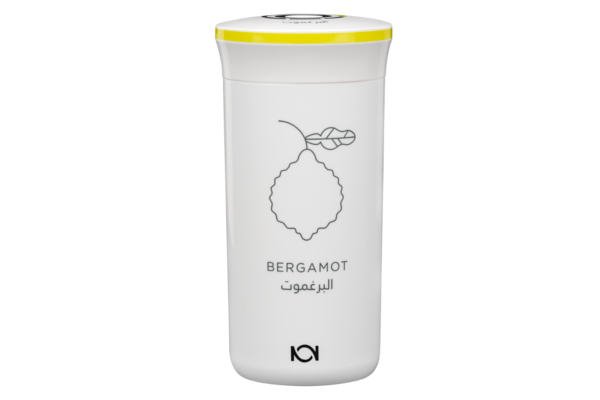 Bergamot oil has fresh scent full of energy. Compared to other citrus oils, it has exceptional dimension. The fresh citric aroma is obvious and sour! In the same time, it has scent of flowers and some moderate spices. The Bergamot aroma is one of widely used components in perfumes. It is a fundamental note in the mixture of water of Cologne. Thus, the perfume makers use this aroma as a top note of the perfume. Generally, the Bergamot scent is consistent with wooden and floral scents. Also, with scents from animal sources such as Amber and Musk. NOTA NOTA Bergamot TOLA has a balanced concentration to be used as an essential aroma or as an “upper note”. It is natural and safe for skin. Bergamot TOLA is compatible with other TOLAs! It adds an upper aroma that gives you energy. Sandalwood: Bergamot when added to Sandalwood it gives a fresh dimension for seasonal winter perfume. For each Sandalwood drop, add a single drop of Bergamot. Magnolia: Bergamot has some romantic harmony with Magnolia. Add a single drop of Bergamot for each three drops of Magnolia. Musk: Bergamot gives a seasonal summer scent with Must. Add a single drop of Bergamot for each four drops of Magnolia. Moss: Bergamot and Moss mixture is complex but gives you a fresh feeling. Add a single drop of Bergamot for each two drops of Moss.